Take a moment to learn about us and our company because when you partner with us, you’re like family. Jed is a third generation Nevadan. He is a Carson High School graduate and earned a Bachelor of Arts in Communication from the University of the Pacific in Stockton. 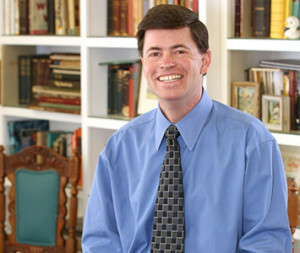 Jed serves on the Board of Equalization and the Carson City Historical Resources Commission. He is president of the Brewery Arts Center, chair of the Carson City Redevelopment Authority Citizens Committee and the chair of the Western Nevada College Foundation. 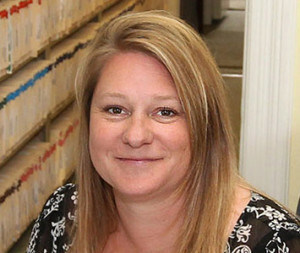 Tristin moved with her family from the greater Sacramento area to the Reno Carson Area in the fall of 2003. 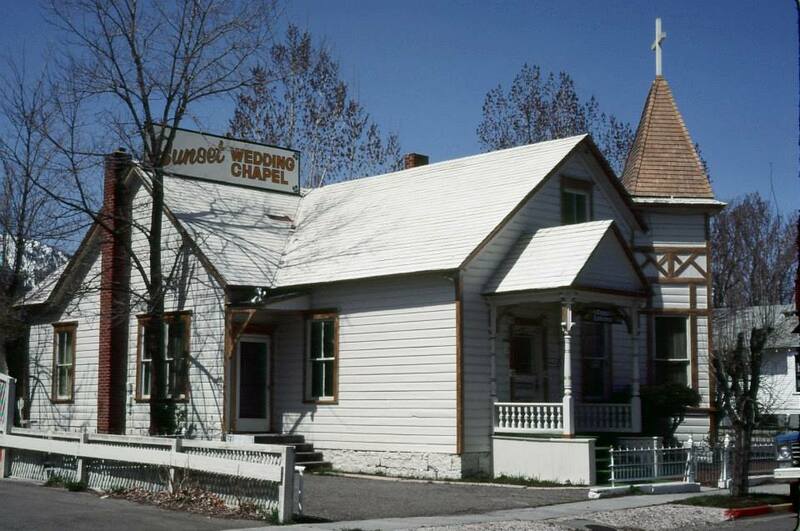 She and her husband found the Carson City area an appealing location to raise their young family. Prior to joining State Agent and Transfer, her background included management of Corporations in the Trade Industry. Tristin enjoys spending time with family, playing with her dogs and spending time with close friends who also share her interests. Kris is a wife and a mother of two. 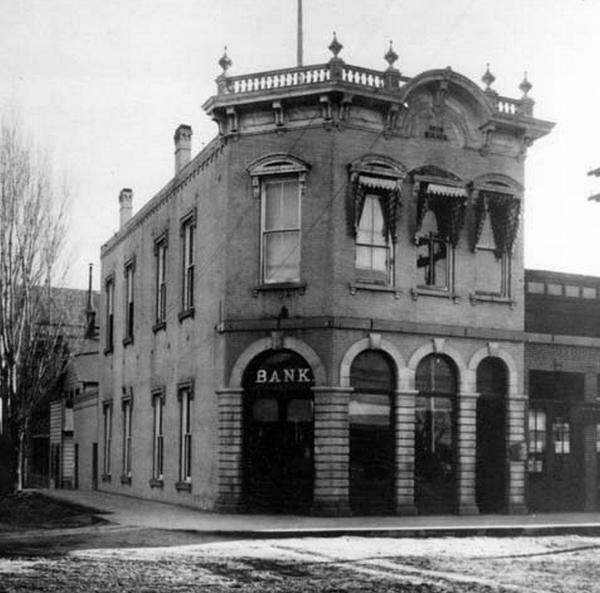 She and her family moved to northern Nevada in 2001 from the California Bay Area. When not working, she enjoys spending time with her family, friends and animals. With Lake Tahoe so close to home, you can usually find her and the family enjoying the local activities. Before joining State Agent and Transfer in 2007, Kris worked in the Real Estate, Mortgage and Banking industries. She loves coming to work and looks forward to each new day. Nevada law requires that any business entity registered with the Nevada Secretary of State appoint a Registered Agent who maintains normal daytime business hours and has a physical address within the State, for receipt of service of process. As your Registered Agent, we fulfill this requirement for your company. We receive and advise you at once upon receipt at our office of any court document, lawsuits or any other legal document filed against your company and presented to us by courier or mail. The documents are forwarded to you or your attorney in the manner you designate. First Class Mail addressed to your corporation (as many as 5 or 6 pieces per month) is forwarded to you on the day that it is received at our office. Our office is physically located less than one block from the Secretary of State’s office. Documents filed and retrieved are hand carried several times daily by our employees. We do not rely on a courier service. Our computers access directly the Secretary of State’s computer. We can usually check the availability of your choice of a company name or your corporation’s status with the Secretary of State while you are on the phone. Our address is your company’s principal place of business in Nevada. Therefore you are free to use our address for your company. 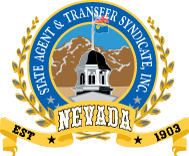 State Agent and Transfer Syndicate has been performing as a Registered Agent and helping to incorporate companies in Nevada since 1903. We will be here as long as and whenever you need a Registered Agent. As you shop for a Registered Agent make sure the fee you pay includes the services you want! Nevada is an ideal home for your corporation due to its business friendly statutes. Nevada’s corporation law is codified so to be very favorable to the formation and operation of your business. Nevada has no reciprocity agreement with the Internal Revenue Service. This means that Nevada provides no information to the IRS with reference to your company. Nevada has no individual or corporate income taxes and no franchise fees. It, therefore, collects no income information. Stockholders are not disclosed because they are not public record. Officers and directors can be indemnified from liability within the Articles of Incorporation. Nevada has made the process of incorporating straightforward and at a reasonable price. Your corporation can be up and operating in as little as twenty-four hours. Your privacy is secure and ownership in a Nevada corporation can be transferred quickly and easily. If your corporation will be engaged in doing business in another state, you may be required to qualify your Nevada Corporation in that state. You can still utilize the advantages of Nevada’s superior corporation codes by incorporating in Nevada and then qualifying the corporation in the state or states where you are doing business. If required, we can assist you in the out of state qualification process. 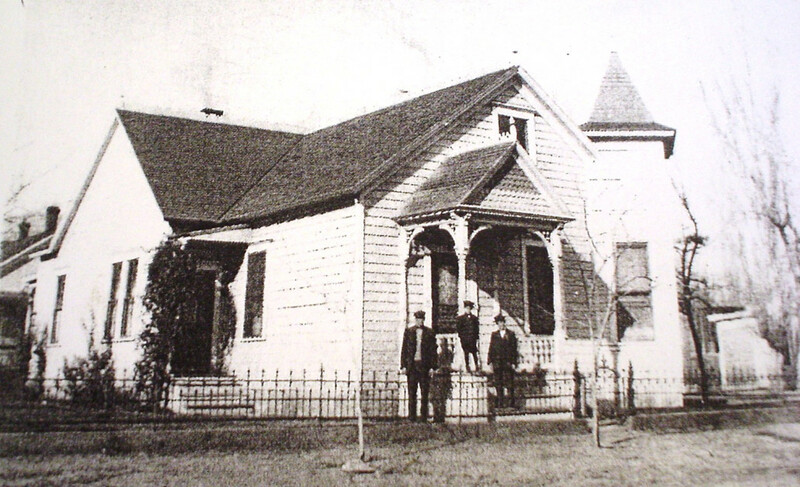 State Agent & Transfer Syndicate, Inc. has been a family-owned and operated business since 1903. We are very proud to call northern Nevada home. The advantages to our clients represented by the location of our office cannot be over emphasized. The Secretary of State’s office is less than one block from ours. When you need a document or certificate urgently, we place the order and pick up it up as soon as their office has it ready. The time lapse between when you place your order and when it is delivered to the Secretary of State’s office is reduced to the absolute minimum. We pay particular attention to our relationships with the “people who get things done” within the Secretary of State’s office and the other agencies with which we work. We do have very nice working relationships with the personnel in these agencies.